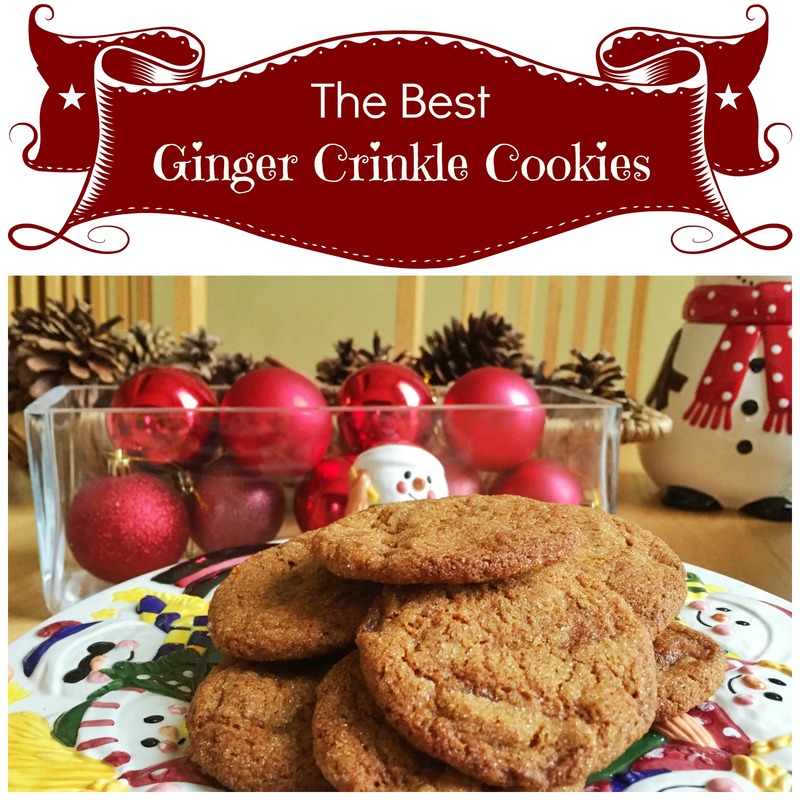 It Christmastime, so in the spirit of giving I thought I would share with you a recipe for the best ginger crinkle cookies. 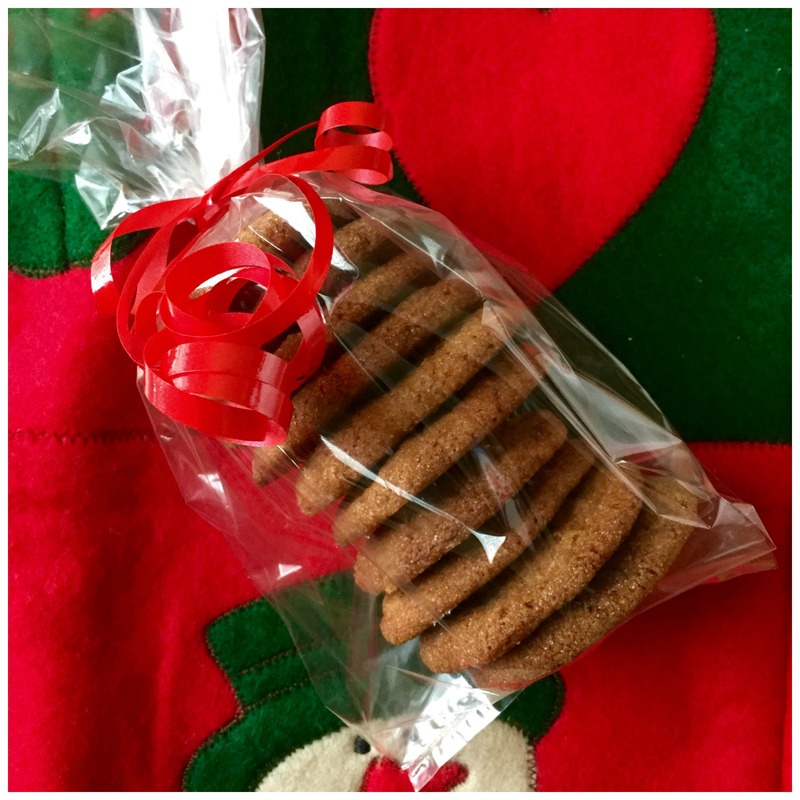 I’m not exaggerating, these cookies are like a Christmas gift for your taste buds – slightly crunchy on the outside and a little bit chewy on the inside. They are so good that they have earned a spot alongside my fudge recipe as one of my favourite treats to make at Christmas and merit permanent membership on my Gifts From The Kitchen list. I would feel really good about giving these cookies as a hostess gift or wrapping up a few as a thank you for my kids’ teachers. I would also be happy to receive some if any of you are so inclined. The only thing not happy to see more of these cookies is the waistband of my pants. The other awesome part of these ginger crinkle cookies is the smell. The combination of cinnamon, ginger, and cloves, along with the sweetness of the molasses is what a Norman Rockwell Christmas painting would smell like if it was scratch and sniff. If you are having any trouble getting into the Christmas spirit and haven’t put up a single decoration yet, the smell and taste of these cookies will get you merry and bright in no time, I promise. I can’t guarantee they will make the untangling of Christmas lights any more enjoyable, you’ll need a cocktail for that, but they definitely help a home smell (and taste) festive. Beat first 5 ingredients (butter, sugar, eggs, corn syrup, molasses) with a mixer on low until blended. Increase mixer speed to medium and beat until smooth. Add next 6 ingredients (flour, baking soda, cinnamon, ginger, cloves, salt) and mix until combined. Drop a dollop of batter that would make a 1 1/2 inch ball into the sugar. Roll the dollop of batter with sugar that was set aside for coating. Arrange 2 inches apart on an ungreased cookie sheet. This cookie batter is a bit loose and sticky. That is okay, that is how is supposed to be. If you find it is too sticky to work with, pop it into the fridge for five minutes to firm things up a bit. This batch of ginger crinkle cookies will be long gone before Christmas arrives and I’m sure I’ll be making batch after batch over the next few weeks. Today as I was making these, I decided to have a little fun with the last few cookies and made extra big ones that were about three times the size of the regular ones. Needless to say, these were a hit with the kids. It’s amazing the motivation a giant cookie can create. 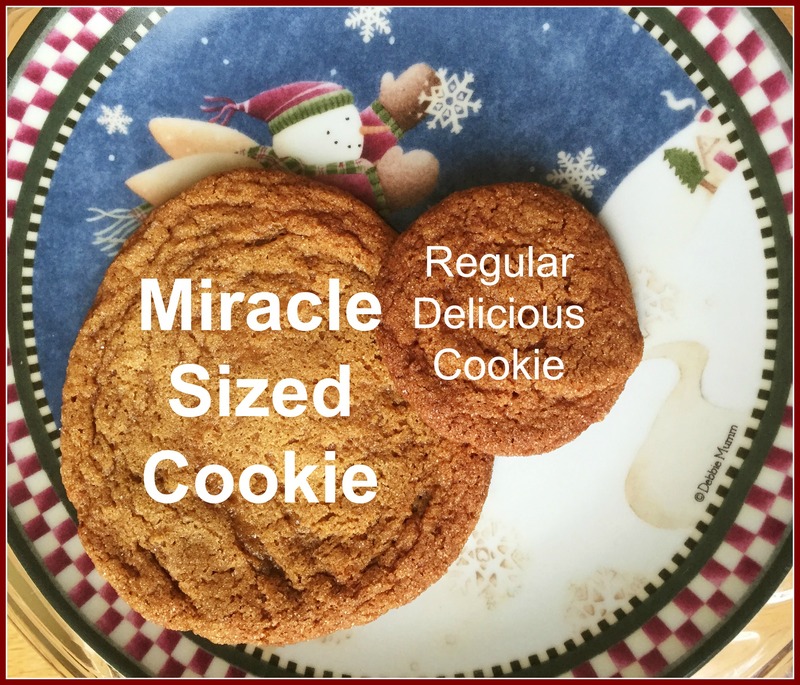 Homework and piano practice were done in record time – it was the first Christmas miracle of the season, and it was inspired by a cookie.